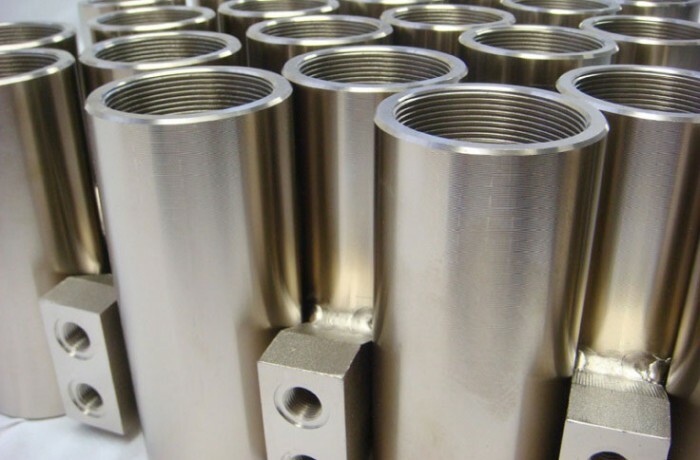 Electroless Nickel Plating is the deposition of a nickel-phosphorous alloy onto a metal substrate without the use of an electrical current. 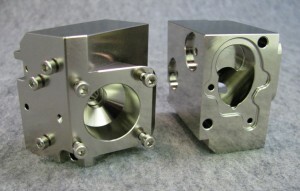 The electroless nickel plating process utilizes an autocatalytic chemical reaction to deposit a reliable, repeatable coating of uniform thickness. This uniformity of deposit eliminates the need for post-plate grinding. Electroless nickel demonstrates excellent corrosion protection, solderability, and lubricity. Electroless nickel effectively coats parts with sharp edges, deep recesses, seams, threads, and complex geometries. Medium Phosphorous – Best for appearance. High Phosphorous - Superior corrosion protection, most resistant to acidic environments. Nickel Teflon – Increased lubricity and low reflectivity. Can reduce or eliminate the need for liquid lubricants.